Go to https://www.curatorspace.com/about/pricing and click the Subscribe button underneath the Artist section. Artists can apply from anywhere in the world. Applications must be written in English. Applications are accepted from a range of practice including drawing, painting, sculpture, illustration, printmaking, photography, film, video, applied art, live art, etc. Please message to enquire if you are unsure whether you are eligible. Funds cannot be used towards capital expenditure of space and equipment, but can be used towards material and hire costs. The deadline for applications is 30th December 2018. A decision will be made within 4 weeks of the deadline and all applicants will be informed of the outcome. Activity should not begin before a decision has been made and should take place within 6 months of the bursary being awarded. 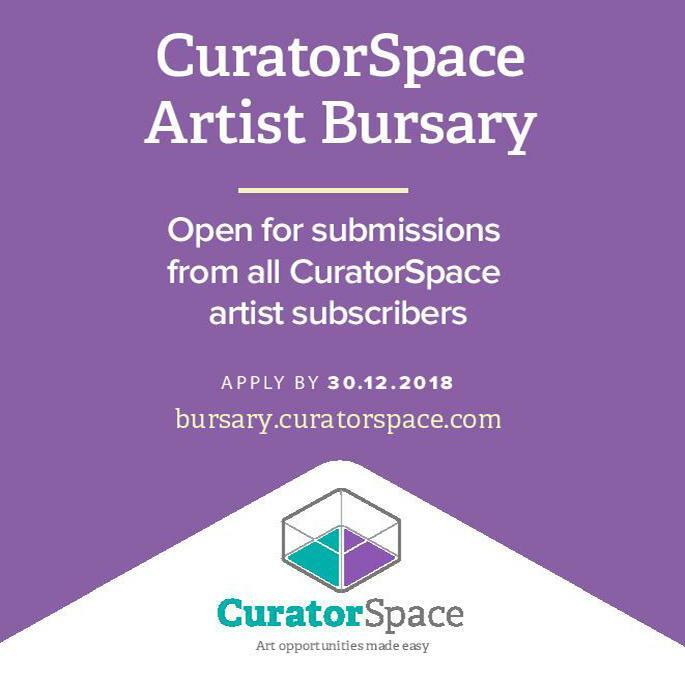 The outcomes from the bursary are flexible and can range from organising an exhibition or event or producing a new artwork.